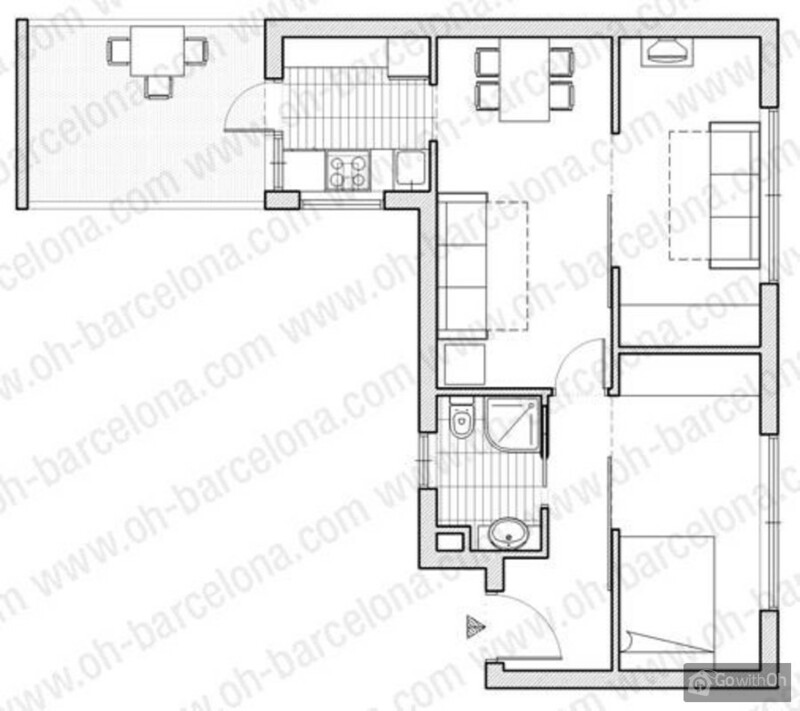 Sunny apartment with terrace and large windows for up to 3 people. There is one light bedroom with a double bed and the other one has double sofa bed and wardrobe. The living room is equipped with a comfortable double sofa bed (190 x 140) and includes the dining area. There is also a brand new kitchenette, which was renovated in March 2006. The apartment has internet connection Wifi. NOTE: We will only accept reservation for families or people over 30 years. A parking space is available 300 meters from the apartment. Please ask the owner to confirm availability and prices. The contact person is very warm and hospitable. She lives on the same floor, next door. 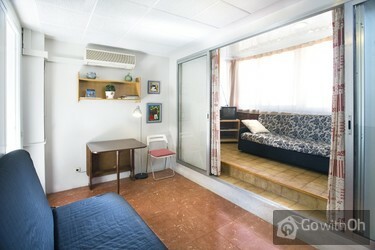 The location is about a 15 to 20 minute walk to the Gaudi attractions, but a subway ride to city center. The building is nice and quiet. The owner is a very nice women always willing to help and answer any question! Speaks perfect english! The appartment very clean and very comfortable. The location is the best!!! Easy and fast access to and from the airport and to the all parts of the city including the turist bus! alles war sehr gut, die kontaktperson ist sehr nett und freundlich, für 6 personen ist die wohnung zu klein, aber für 2-4 - perfekt. We had a very pleasant stay at the apartment. The landlady is a very nice and considered person. The apartment is very quiet and very well located. It\'s easy to get around. I wouldn\'d stay in there with too many people, though. We were two and a child; more would be a little crowded. The owner is the sweetest person ever. What a great place to stay. Die großartige Hilfsbereitschaft der Vermieterin half uns beim einzigen Problem welches wir in Barcelona hatten, dem Parkproblem. Also besser nicht mit dem Auto anreisen. the appartment was clean and nice, the contact person was a lovely lady who made up for your poor service. The owner is a very nice person, the appartment is in a nice area, close to the metro. A good choice to visit Barcelona ! Hello, We enjoyed our Stay very much! Everything was allright. Wir waren zu zweit da, das ist ideal, mit zwei (kleinen) Kindern ginge es auch noch, sonst wird es wohl eng. Ansonsten alles prima: sauber, Blick vom Balkon über die Stadt zum Meer, nur 100 m zur Metro und vor allem eine sehr nette unkomplizierte Vermieterin Pepa. The owner is wonderful, very nice and gives you lots of information about the area and tourist sites. Apartment is on top floor with great views and very quite. Grocery store is just down the street. 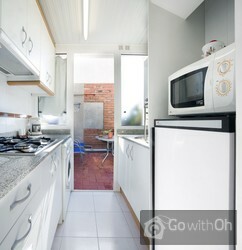 The kitchen is a bit tight for two people, but completely functional and great for cooking your... own meals. The hot water in the shower needs to be turned on full to get the hot water flowing and was a bit tricky at times. Overall, a wonderful place to stay location wise and especially if you want to save money by cooking your own meals. The accomodation was nice clean andf comfortable. excellent views over BCN.Pepa is a wonderful host.Would use again. Excellent location for all the sights. Sehr nette Vermieterin und opimale Lage der Wohnung. Très bon accueil. Très bonne situation dans Barcelone. La qualité du couchage peut être améliorée, mais par rapport au prix c'est tout à fait correct. Très grande propreté. Bon aménagement des espaces de vie. Great place to stay in Barcelona - convenient to everything. Super kitchen and bathroom (but a tiny shower!) and plenty of room for 2-3 people, 4 might be a bit cramped. The small terrace was the best part - we could have coffee in the morning there and cocktails in the evening, with distant view ...of the Mediterranean and the city, even the top of the Sagrida Familia. Die Unterkunftwar - wie beschrieben -sehr nett, auch sehr ruhig, die kleine Terasse abends sehr schön für ein letztes Glas Wein. Besonders erwähnt werden muss aber die wirklich ganz reizende Vermieterin(Pepa),die in jeder Beziehung freundlich, zuverlässig und mehr als hilfsbereit war. Schön, dass es sowas noch gibt! Die Wohnung ist zweckmässig, sauber und ausreichend ausgestattet. Für Kleinkinder nicht optimal. Die Hausherrin P. ist sehr freundlich und hilfsbereit. Wir haben uns wohl gefühlt und können die Wohnung weiter empfehlen. We loved the flat It's very simple so it's not for anyone who expects luxury, but it was clean, comfortable and had everything we needed. The location was really convenient for the Sagrada Familia and Park Guell.The ownerwas really helpful and efficient. this apartment seems like a converted porch or corridor. There was no comfortable place to sit and the bed was not comfortable either. The kitchen was very basic and the hot water was quite variable. Basically, we liked the building, the location, and the landlady. But we would not recommend this particular unit to anyone. Logement facile d'accès en bus et métro, bien situé par rapport au Parc Guell et la Sagrada Familia. Propriétaire sympathique, discrète et affable, parlant bien français, ce qui facilite les échanges. El piso está cómodo y suficiente para tres personas pero más lo haría apretado. Una noche, había mucho viento y las ventanas se golpetearon pero fue una noche sola de ruido. Fue limpio con todo que se necesitarían. Lo recomiendo. The apartment was comfortable for three people but more would ...have made it tight. One night (only), there was quite a bit of wind and the windows rattled. It was clean with everything one would need. I highly recommend it. Der Balkon ist ein Hinterhofausguck mit entsprechenden "Düften" aus Toiletten und Waschküchen auf dem Abflüsse offen rauschen und den Fussboden überschwemmen. Die Betten waren eine Zumutung und die Räume kalt und lieblos eingerichtet. Das angebotene 2. Schlafzimmer war ein verbauter Balkon ...und daher kein brauchbarer Schlafplatz zu dieser Jahreszeit. Die Unterkunft war sehr sauber und schön hergerichtet. Wir hatten ein Kinderbett erwünscht, was auch geklappt hat. Es war ein bisschen eng, also nur für ein Baby geeignet, nicht für Kinder. P. hat sich um alles hervoraend gekümmert, war sehr nett. The apartment was perfect for what we wanted. The location was great, right next to the Joanic metro stop but also in walking distance for a lot of places. The apartment was spotless and had everything that was needed. Neat little back terrace from which you can have a bottle of wine while looking ...at Sagrada Familia in the distance! P., the landlady was the best. Very welcoming, friendly and helpful. Even making it possible for us to watch a Barcelona game on tv! Very clear directions on how to get there and about the apartment. We had a wonderful stay and would go back to that apartment again. Apartamento tranquilo y con excelente ubicación. P., la persona de contacto,muy atenta y agradable. A mejorar:las tuberías de la terracita. Personne très agréable, serviable et disponible. appartement agréable, propre et bien situé.Quartier vivant. La propriétaire est très accueillante et à l'écoute. We enjoyed our stay at this apartment. It is convenient to the local Metro and in a very accessible location. Local facilities are excellent (bars, restaurants, supermarket etc). The area is safe and only 20 minutes walk from Sagrida Familia. 9/10 La personne est très gentille, disponible et arrangeante. La propriétaire est charmantre et très serviable. Ganz liebe und zuvorkommende P. und sehr unkompliziert. Gerne wieder, jedoch für nicht mehr als 3 Personen! The owner was great. So pleasant and willing to to help us with anything. She could not have been better! Not a very good value for your money. The owner confirms his availability during the stay to solve any problems or needs that might arise. He confirms that the kitchen equipment is correctly posted on the Website. Very nice stay, good location, good size and easy to find. Sehr nette und hilfsbereite Vermieterin; gut ausgestattete, schöne und saubere Wohnung mit tollem Blick - würde das Appartment jederzeit wieder mieten wenn ich nach Barcelona komme. P. is lovely and so helpful. The apartment has been imaginatively converted and has everything you could need without unnecessary clutter. Good flat, good location. Very friendly owner. We wished for a kettle for boiling water, and also for a toaster. But, all in all it was a good place to stay in Barcelona. 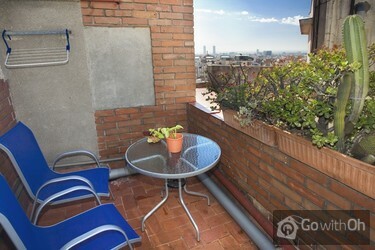 Per la mia quinta visita a Bcn ho scelto questo appartamento perchè mi è sembrato il migliore come prezzo e posizione di quelli visti sul sito.L'appartamento è un superattico ideale per 2/3 persone,gli spazi sono sfruttati bene e nell'insieme è gradevole starci.La signora Pepa è stata ...gentilissima e molto disponibile.L'appartamento era pulito e ordinato.Le uniche note di demerito sono il letto matrimoniale piccolo e il problema della luce in mattinata per via delle enormi finestre a cui le tende non riescono del tutto a oscurare.All'interno ci sono tante guide che nemmeno in un punto di informazioni...su tutti la guida degli autobus della citta',cosa introvabile per un turista!Oltre alla Metro L4(Joanic)vicino passa il 55 che porta a Piazza Catalunya e al Montjuic. I love this place. 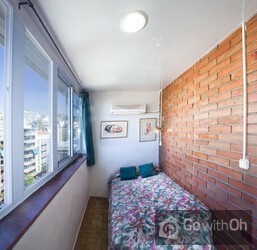 It is spacious and the environment really make you feel like home, as if you stayed in Barcelona for so long. The landlord actually provided us details as to how to reach the apartment and places of interest around the area. Thumbs up! Everything is good except that I think the ...landlord needs to use electric stove instead. I merely use the normal stove for minor cooking and the burner became dirty and can't be cleaned and the landlord actually charge me for EUR12. 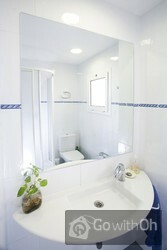 It's a perfect, comfortable and very clean appartment in a good location. The owner is very friendly and helpful. The only thing that is not perfect may be the size of the (normal)bed: 1.2m width. The sofabeds are a normal double size thought. I would definitely recommend this appartement to my friends! 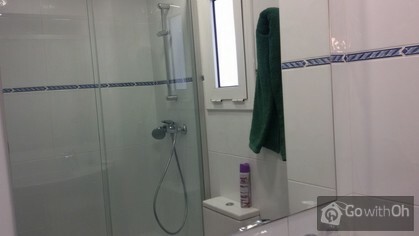 Excellent appartment, very helpful contact person, and a very nice location not far from the centre and very well connected. I would stay there again. L'appartement était très, très propre. Bien situé pour quiconque ne veut pas être en plein quartier touristique (Style Rambla). Très facile d'accès en métro, correspondance facile. Beaucoup de petits commerces autour de l'appartement . perfect place to stay !!!! Een goed en schoon appartement op een goede locatie. Alles was aanwezig en een klein balcon om buiten te zitten. Het tweepersoonsbed was wat smal, maar er was een tweede bed.Winkels in de buurt. Goed bevallen! Uitstekende informatie vooraf over bereikbaarheid bij aankomst. Metro op 3 minuten afstand. Light airy top floor apartment with small sun terrace and views across city. Close to centre of Gracia with its bars, restaurants and nightlife. Owner very helpful. La estancia en el apartamento durante el mes de agosto 2014 ha sido buena. A destacar la atención de la propietaria del mismo, P, así como la vista nocturna que se podía contemplar desde allí.Se debería mejorar la comodidad y amplitud del colchón para un óptimo descanso. A great location with plenty of shops around that cater for a coeliac diet. P. the owner is very accommodating. The terrace is wonderful with great views of Barcelona. We will definitely be recommending it to friends. Die Wohnung war sehr sauber und ich habe mich sehr wohl gefühlt. P ist eine ganz Liebe und sehr hilfsbereit.Kann die Wohnung nur weiterempfehlen, man hat alles, was man für einen Aufenthalt braucht. P, la propietaria, no pudo ser más amable con nosotros y con nuestro perro. El apartamento dispone de todo lo necesario, incluso más cosas de las que esperábamos, la cocina muy bien equipada. Nos hizo muy buen tiempo por lo que pudimos disfrutar de alguna comida en la terraza al sol. Barrio y ...piso tranquilo, con muy buenas vistas y muy luminoso. Además el sofá-cama es muy cómodo. Estamos muy contentos. Un sitio perfecto para moverse por el centro, tienes todo cerca para no mover el coche. Es un pequeño estudio en el sobreatido del inmueble de unos 30años deduzco yo situado en el barrio conocido de gracia.el estudio tiene 40m y consta de 2dormitorios a distinto nivel ya q hay q tener cuidado con el escalon ,comentar tmb que en dichas habitaciones no hay puerta si no correderas de ...cristal y hay q tener cuidado con ellas por posibles golpes ocasionados por querer entrar a la habitación y darse con el cristal en la cabeza pensando q estaba abierta cosa q nos a pasado a mi padre y a mi en toda la estancia.puerta del baño de cristal y hace q la intimidad sea nula.pequeña cocina pequeña,bastante equipada y funcional para max 3,per.pequeña terraza a la q da acceso a una gran panoramica de la ciudad.la propietaria muy atenta y servicial. An der Ferienwohnung gibt es nichts auszusetzen. Einkaufsmöglichkeiten, Metrostation sind in der Nähe, auch das Lokal El Glop, wo man abends nett essen kann. Zur Sagrada Familia geht man ca. eine Viertelstunde zu Fuß. We had an excellent stay! The appartment was very clean, and located near metro station 'Joanic'. Lovely neigbourhoud and a friendly landlady. Would recommend this to anyone. Beaucoup aimé l'endroit. La dame qui nous accueille est chaleureuse et nous invite à la contacter si probleme. La terrasse était mon coup de cur, j'ai,ais bien profiter de l'extérieur pour mes repas. Les accessoires de cuisine était correct , avec quelques épices huile, café ...disponible! Les pièces sont particulières: 2 sont aménagées sur une galerie fermée de grandes vitrines qui donnent beaucoup de lumière. Toutefois, nous dormions sur un divan-lit, quand meme confortable! Très propre! P est très avenante, donc si soucis facile à la joindre. appartement idéal pour 3/4 personnes. bon équipement clim, lits, serviettes de toilettes, ,"kit de survie" huile, sel, poivre, thé, dosette café, sucre, pâte et même une brique de jus de fruit au frigo. Tout est apporté de mains dans... la rue épiceries, pharmacie, superettes, bar, métro, bus. l appartement est 1 heure de marche du Musée de Picasso et 30 minutes de Parc de Guell. Nous avons adoré et reviendrons prochainement, Merci encore Pepa. sehr gute Verkehrsanbindung. Gepflegtes Appartement, sauber. Schön war es abends und morgens auf dem Balkon zu sitzen und auf Barcelona zu schauen (ok, das Sichtfenster war sehr klein!!) Dennoch gerne wieder! Una zona muy buena y tranquila. La dueña es una persona excelente. ¡Todo ha sido fenomenal!